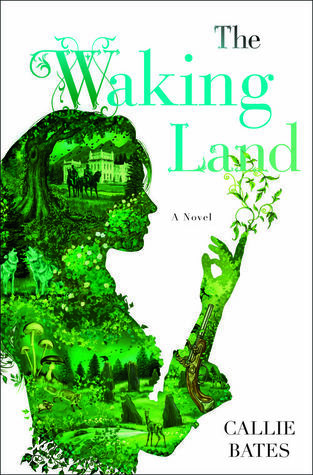 The Waking Land is one of those books that pull you in from the explosive first page and will not let you up for air until the intense end. A book with vivid writing, memorable characters and a storyline that will stir your imagination. I was very impressed with the world building that this author did. It was fantastic and it definitely brought more to the story. In any other book, it might have come across as heavy but in The Waking Land, it worked. The author took her time with the back story, which honestly, a lot of authors don’t do. She took the time to explain the history of Elanna’s people and the people who raised her. She also took the time to explain, but not in-depth, how the countries across the ocean operated. Everything was explained and had a back story, which again might but some people off but I loved it. I need to know everything about everyone in a book and when stuff is left unexplained, it turns me off the book. The character building in this book was just as good as the world building. Every character was like an onion (and yes, I know I have used this term before) and when one layer came off, another was revealed. Again, like I said above, a flushed out, relatable character is what makes the book. Personally, if I read a book where the character is one-dimensional and lacks in personality, then I will not give that book a high rating. Even if the storyline is great. Because the characters make the book and I won’t be lying when I say that these characters absolutely make the book. Elanna was such a complex character. She had been taken from her parents by the king and was held hostage to make sure her father and his cohorts would not attempt another attempt to overthrow the throne. So, it was believable that she became completely loyal to the king in the 14 years that she had been away from her parents. Completely believable because she was indoctrinated against the country that she came from. Which was sad, considering what she was to that country. She was totally against them, thanks to being told that they were beneath her for years. But, I liked reading her gradual change of heart towards her countrymen. Starting with being helped by Hugh, Finn, and Alistair while on the run, her change of heart was gradual but after events that had her mother imprisoned and herself scheduled for death, it was complete. The magic she wielded was insanely powerful. I really didn’t understand how powerful until the end of the book. To be perfectly honest, I really thought that she would be more of a figurehead in the revolution than to actually wield powerful magic and basically win the war against Loyce. So seeing Elanna wield her magic after awakening it was powerful. The relationship between Jahan and Elanna did keep me guessing for a bit. I couldn’t tell if he was into her or if he was using her to get information. It really bugged me too because they were so similar. He was a sorcerer and she had magic that I can’t even begin to explain. Elanna’s relationship with her parents was very complex and I can’t even begin to describe it. All I can say is that relationship is the catalyst for the last half of the book. You have to read the book to actually find out how complex it is. The end of the book was great. All of the storylines were wrapped up but I did detect an opening for a 2nd book? I do hope that there is a 2nd book. There are some questions about the kingdoms over the sea that I would like answered. Why: Awesome storyline with great characters.